For those of you readers who don't follow me on Facebook or just don't like Facebook, I wanted to give you a wrap-up of what I've been up to the last week. Or, if you're on Facebook and you missed it, here's what's been going on around our homestead. Well, aside from the usual gardening business of being inundated with tomatoes, basil, blackberries, lettuce and green beans. 1. Apples (Round 1) - from the neighbor down the street. I've gotten apples from them in year's past and this year, they let me pillage their tree again. These apples are small and not very attractive. I ended up making applesauce as well as juicing them and making apple jelly (see below). I got about 8.5 pounds. 2. Apples (Round 2) - from the next door neighbor. 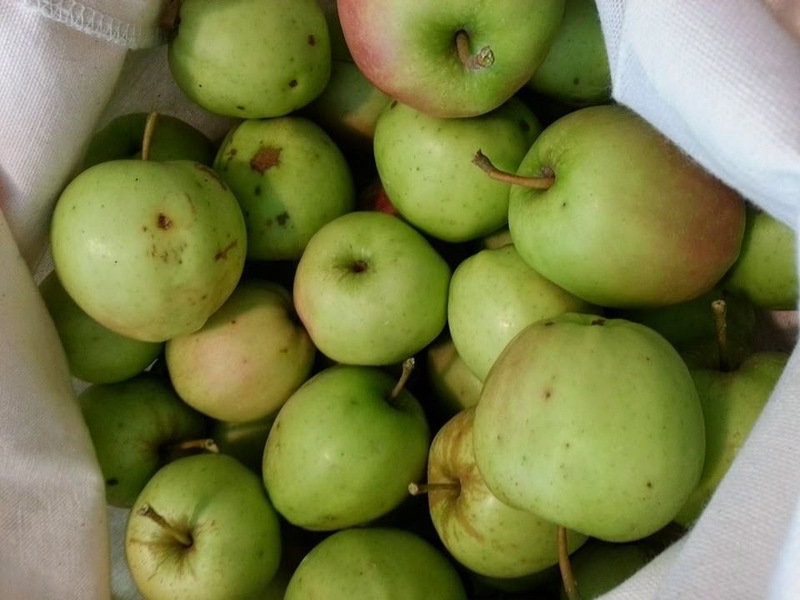 These apples are much larger and tend to have less scabs and other problems. 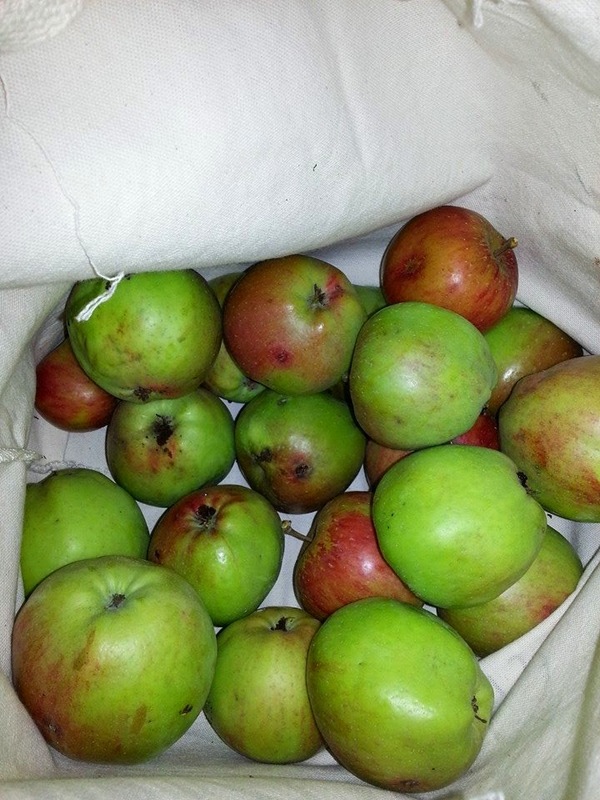 I used some of them for the apple jelly and still have a fridge full of apples. This is the first time I've asked these guys for their apples. They don't speak English very well and it took a bit of back and forth before they understood what I was asking. I got about 20 pounds. 3. Tomatoes - I walk by a house down the block that has a parking strip vegetable garden, so I get to check out what's growing every day. I've spoken with the owner a number of times before. 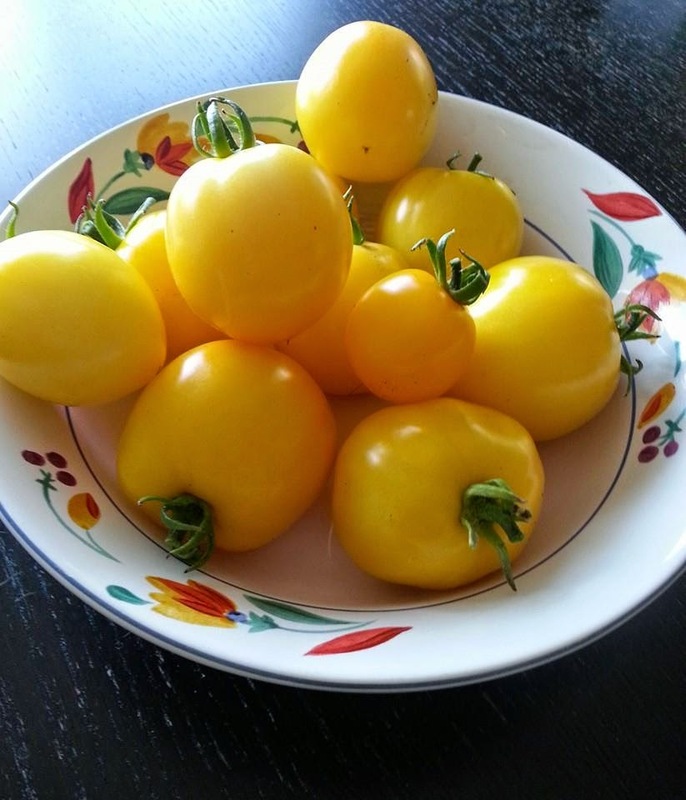 I was noticing that they hadn't been picking their large yellow tomatoes so I decided to see if they'd be willing to trade tomatoes for some apple jelly. My neighbor was more interested in giving the tomatoes away as she was getting sick of them. She was also in the middle of making apple butter from her own tree and asked if I wanted some apples. Since I already has a fridge full of them, I reluctantly passed. But, I did score more tomatoes than we could reasonably eat in a day or so with the promise of more to come. 1. Bread and butter pickles - I had a ton more pickling cucumbers lurking in my fridge after making two batches of spicy relish. I love bread and butter pickles, so I decided to finish off the cucumbers making them. 2. Brandy applesauce - I used the crockpot for making this. Since the gleaned apples were small and I was planning on running them through the food mill, I just tossed a ton of them in the crockpot with some cinnamon sticks, vanilla beans and water and let it break down overnight. After milling them and bringing it back up to temperature, I added 1/3 cup apple brandy and canned them. Yum! (my Courvoisier Applesauce recipe is here). 3. 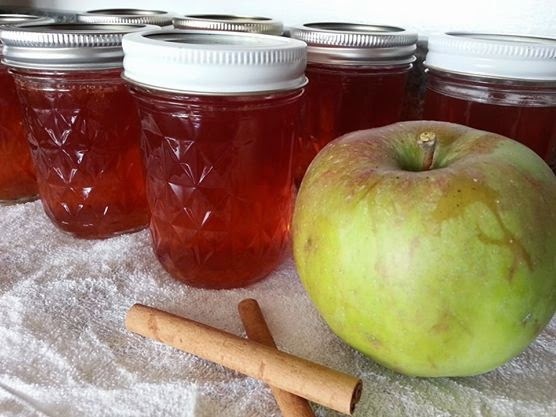 Cinnamon brandy apple jelly - Yes, I like brandy with my apples. I really didn't feel like peeling and coring all those tiny apples, so I juiced them in my Breville Super Juicer. I added 2 teaspoons of ground ginger and 1/3 cup apple brandy to the final creation. I'm making more of this since it turned out so amazing. 4. 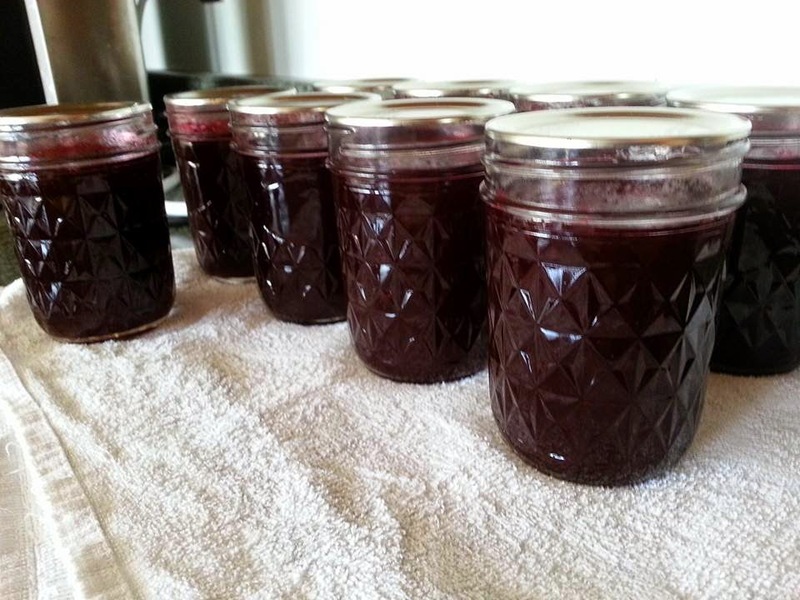 Smoky blackberry rum jam - I spent far too much time running our backyard blackberries through the food mill to remove all the seeds, but the end result is well worth it. Dried chipotle chiles and rum give this jam quite a kick! 1. 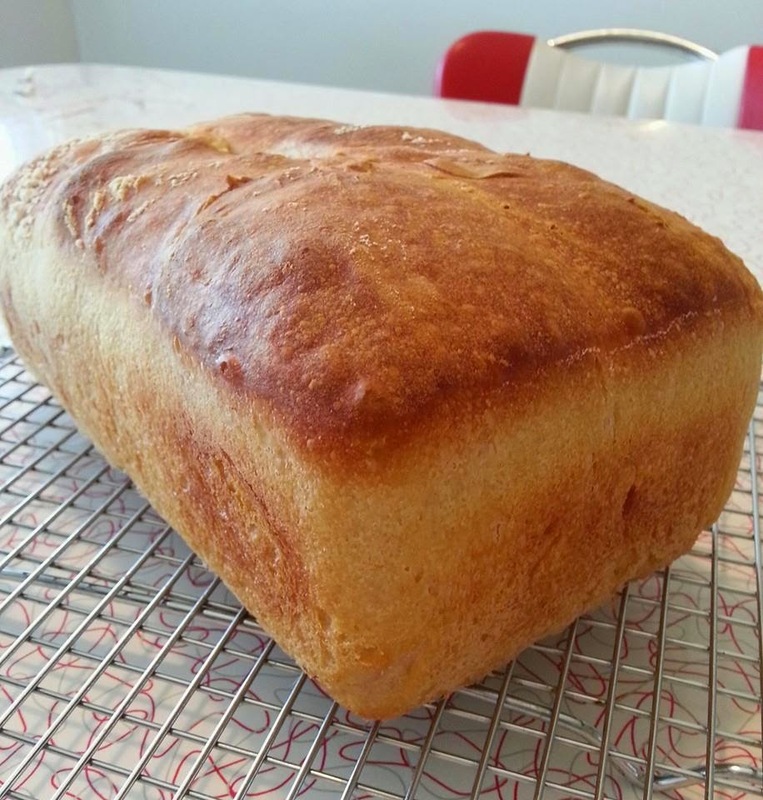 No knead honey sandwich bread - After reading a bunch of sites on no knead bread and how to adapt it to sandwich bread, I tweaked it a bit to include honey and whipped it up. It doesn't rise as nicely as kneaded sandwich bread, but it's so easy, who can complain? 2. 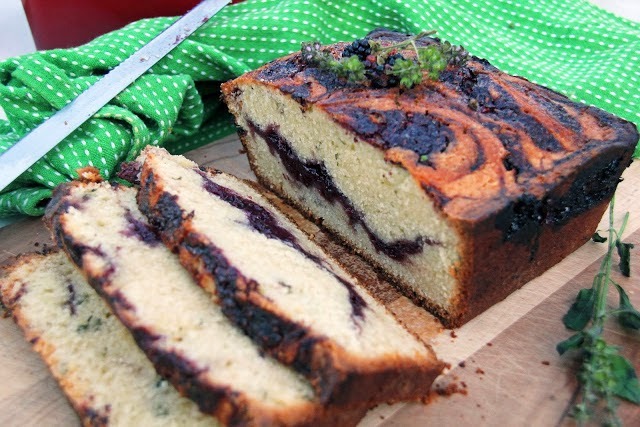 Blackberry pound cake - My husband actually made this one, but I helped, so I'm going to include it. I'd take a picture, but there are only crumbs left. Here's the recipe though and the picture of what it should look like :) We didn't use basil, but home grown lavender instead. 3. 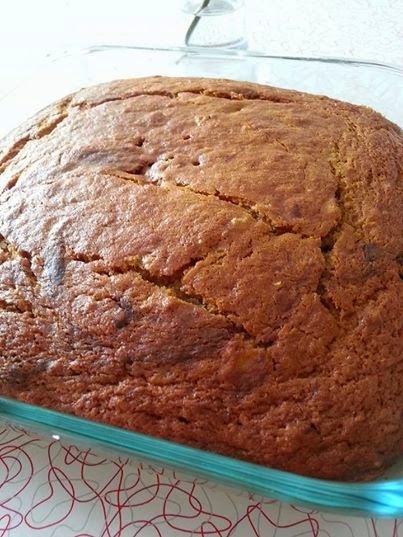 Pumpkin chocolate chip bars - Yes, I made this again, this time without the black bottom and just milk chocolate chips throughout. My son loves it so much I'm going to make it again tomorrow after work cause it's so easy. Whew! It's been a busy week! What have you been up to? 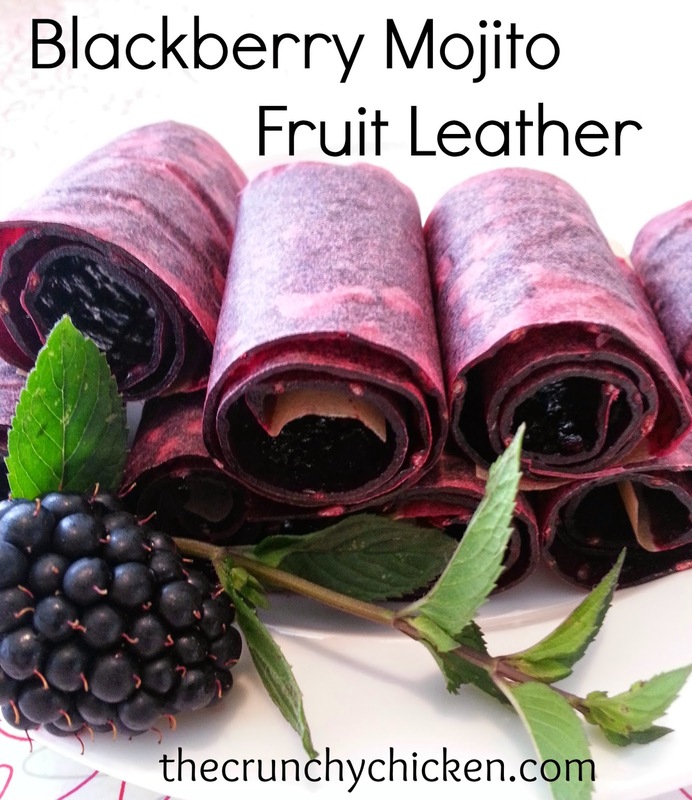 :) I just did blackberry chipotle tequila. Awesome sauce.